In 1996 when Scream was released it reinvented not just the slasher film, but the horror genre as a whole. I love Scream, but regardless of what anybody thought of the film its influence is right up there with films such as Halloween and the Exorcist. When Scream was released the horror genre was probably the weakest its been in quite a while and even though there were some good films, horror wasn’t nearly as marketable. 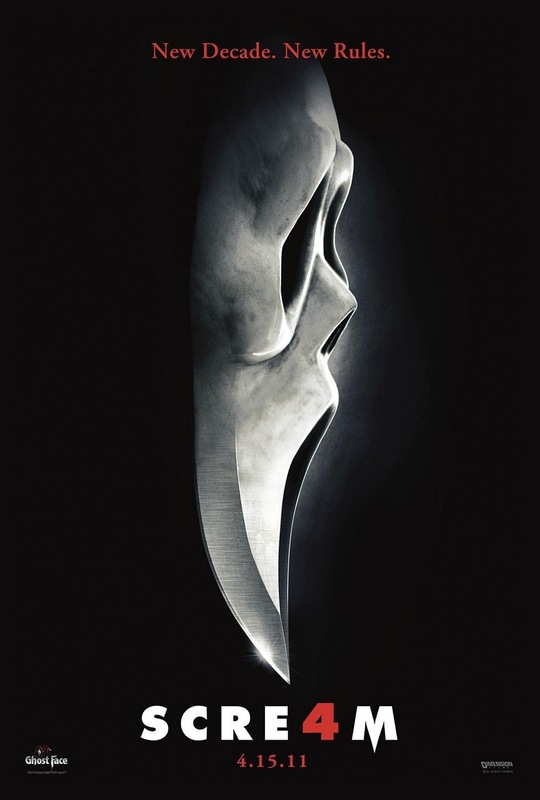 15-years after the original film Scream 4 was released and a lot had changed in that time. 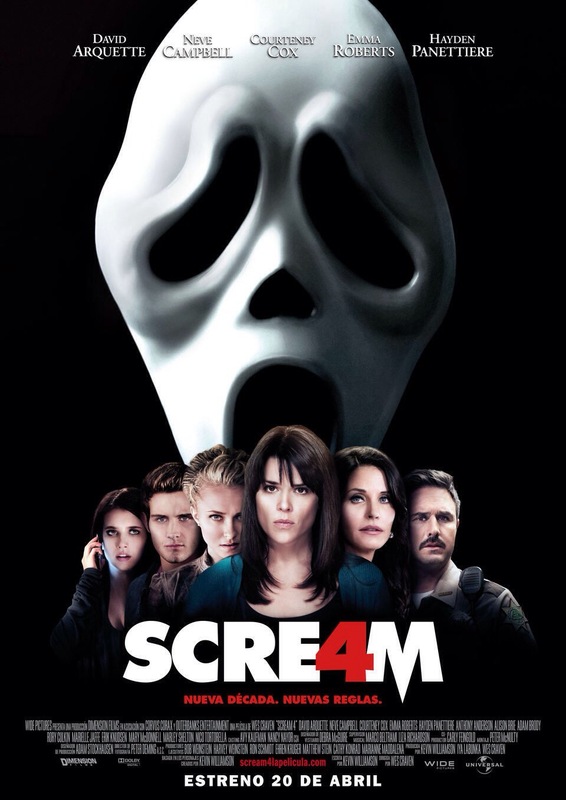 Scream 3 was billed as the final act and I don’t think it’s a huge shocker that ended up not being the case, but I am a bit surprised it took so long for Scream 4 to be made (11-years). In my opinion Scream 3 was the weakest and I think that movie proved Kevin Williamson was the real success of the series and his loss was very much felt. Also by the time Scream 3 came out even though only 4-years removed from the original the Scream formula was wearing thin as from Hollywood films to low budget films copied its formula. 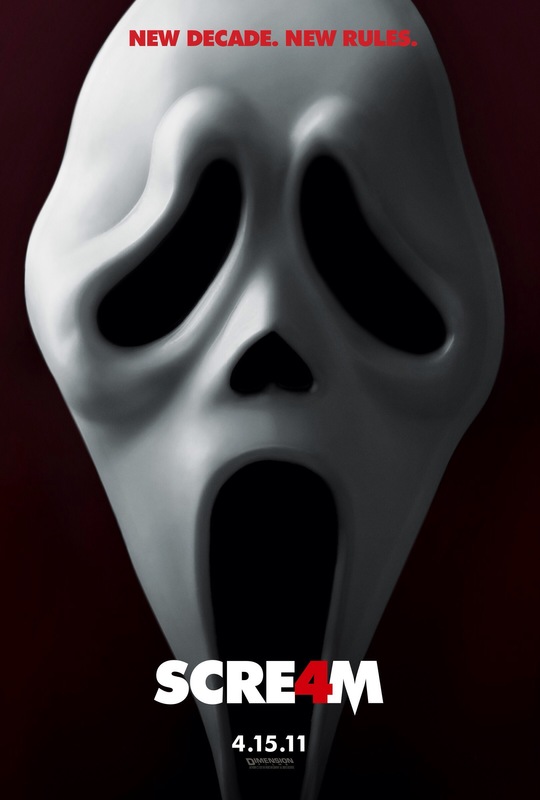 The first two Scream films made over 100-million and Scream 3 while down to about 80-million was still a big hit. I don’t think anyone expected Scream 4 to make the same impact as the original in terms of influence or the same impact in the box office like the previous 3, which it didn’t and the film broke even and wasn’t and I’m not sure what expectations were though I’m sure Dimension probably expected a little more in ticket sales. I think the time elapsed since the 3rd and by this time while the influence of Scream could still be seen on the genre horror films were taking a little darker approach again with films like Saw and Hostel (well once you get past the first half that is). I was super excited for Scream 4 since I loved the first two and even happier one of my film idols Kevin Williamson would be returning to write since again I felt his not writing the 3rd film hurt. 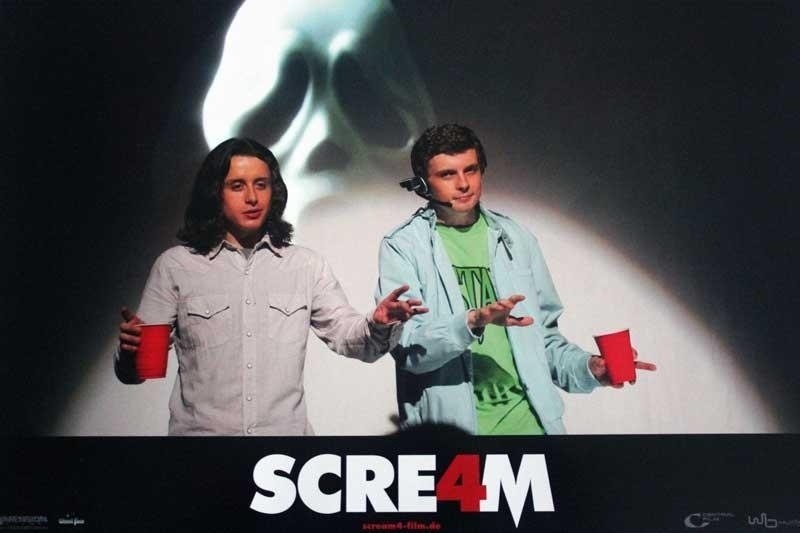 By the time 2011 rolled around its been a while since Williamson had a hit and his last couple of film productions I wasn’t overly fond of, but as I watched Scream 4 all my fears were erased and my excitement for Scream 4 proved warranted. The Scream films are often labeled satires, which is only half true as they’re also legit horror films. 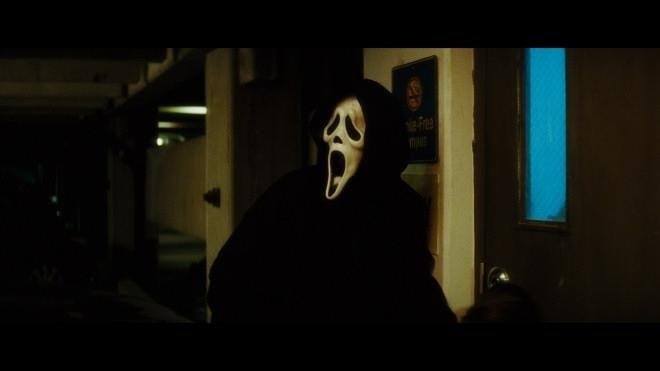 Ghostface can be playful one moment and cruel the next, but in Scream 4 while the same could be said again, but Ghostface seemed a little meaner than playful. In many ways Scream 4 mirrors the original film and I think the best way to put it if Scream was released in 2011 rather than 1996 Scream 4 is more or less the film it would have been. Scream 4 returns to Woodsboro (2nd was Ohio, 3rd Hollywood). Its been 15-years since the original murders and Dewey (Arquette) is now sheriff and married to Gail (Cox). Sidney (Campbell) recently wrote a book on her life and during the book tour she returns to Woodsboro. But she once again finds herself in danger as someone is out to do a real life remake of the original murders. The screenplay was written by Kevin Williamson however Ehren Kruger who wrote Scream 3 and was an executive producer was brought in to do rewrites. Some reports are major rewrites with other reports say minor rewrites. However only Williamson is credited. I’ve seen every film Kevin Williamson has written and honestly this feels like his style for the most part. Regardless of that fact, Scream 4 is cleverly plotted and written and has fun with the cliches of the films when this was made. As I mentioned Scream 4 has a slightly darker tone at times. Like the past 3 this one is fun and satirical, but Ghostface isn’t quite as playful as past films. 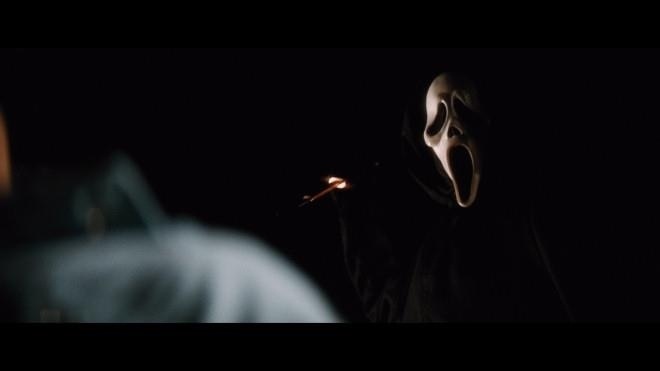 Even though Ghostface could be both playful and cruel within the same scene there just seems to be something a little more sinister. The characters are solid and while they aren’t as interesting as the original characters they still have their own identities and each character adds a little something to the film and Kirby (Panettiere) is my all time favorite Scream character. As I stated before the events and characters mirror that of the original and Scream 4 is more or less the film Scream would have been if made in 2011. As for the core of the cast of Dewey, Gail and Sidney, I still very much love these characters and I’m glad they were back, but they don’t impact the story as they once did and that would really be my only complaint as with a few changes the film could have worked without them. Overall the screenplay is terrific as its smart and clever with one twist at the end I could honestly say I didn’t expect. The previous year in 2010 Wes Craven directed My Soul to Take, which in my opinion was his worst film so I was a little nervous, but I also believed Wes could still deliver another great film and he sure did just that. 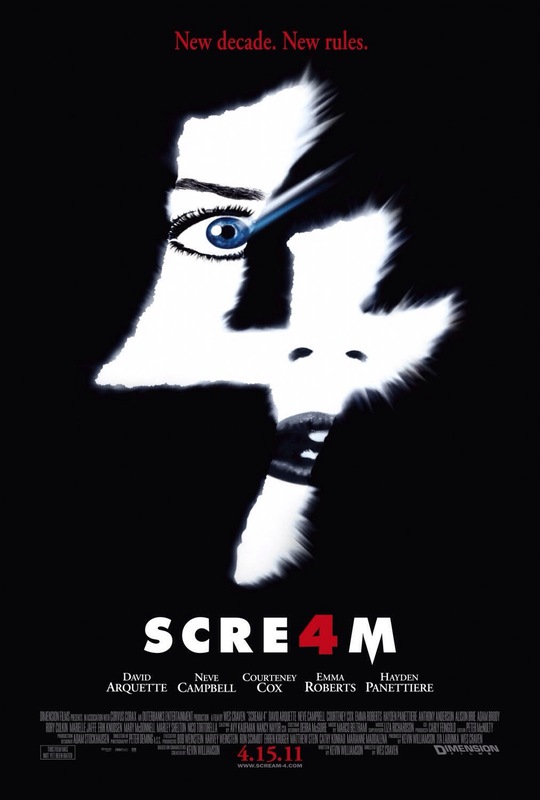 Scream 4 is excellently paced with some excerpt suspense and tension and like past films in the series quite exciting. Wes perfectly balances the light and dark tone with an easy transition between the two. The death scenes are well staged and are a little more extreme than the previous 3 as again even if Scream 4 is fun it’s also a bit darker. The death of Olivia was actually quite brutal and just might be my favorite death scene in the series. Wes Craven delivers an excellent film and Scream 4 is my 2nd favorite of the series and was for me the best horror film of 2011. Scream 4 was plagued by some trouble during production with actors dropping out and rewrites and more often than not these problems sink a film, but Scream 4 excels. Williamson’s script is fantastic and Craven makes his best film since Scream 2. Scream 4 may not have redefined the genre like the original, but its still a great film and is a great companion piece to the original. Scream 4 is fun and suspenseful and the best since the original.